Naturopathic doctors use modern technology and pharmaceuticals as well as old world medicines and techniques rooted in “nature cure.” In 19th century Europe, “nature cure” was a system for treating disease with natural agents, such as water, air, diet, herbs and sunshine. Father Kneipp (1824-1897), who lived in southern Germany, is one of the most well-known nature cure healers. He used herbs and water therapies to cure illness. When “nature cure” was brought to America, it transformed into what we now know as naturopathy. 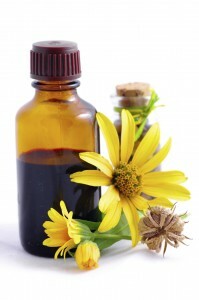 Naturopathy includes the use of homeopathy, herbal medicine, nutrient therapy, and hydrotherapy. Naturopathic physicians will order laboratory tests or imaging to help with diagnosis. They seek to address the root causes of illness rather than symptoms. In most cases, they prescribe the least harmful treatments, with the fewest side effects first. Pharmaceuticals are prescribed as necessary. Addressing the cause often means changing lifelong patterns and habits. Naturopathic medicine recognizes the importance of the mind body connection. Often, people know that they need to exercise and eat healthier, but they lack motivation and are unable to keep unhealthy cravings in check. These barriers to health can be overcome with naturopathic support.